For a while now we’ve been swimming in a saturated market of wearable tech products. Replacing the instinct to glance at our wrist to read the time, the priorities of these wearables are adapted to our networked lives — designed in pursuit of solutions to individual, collective, or fabricated problems. 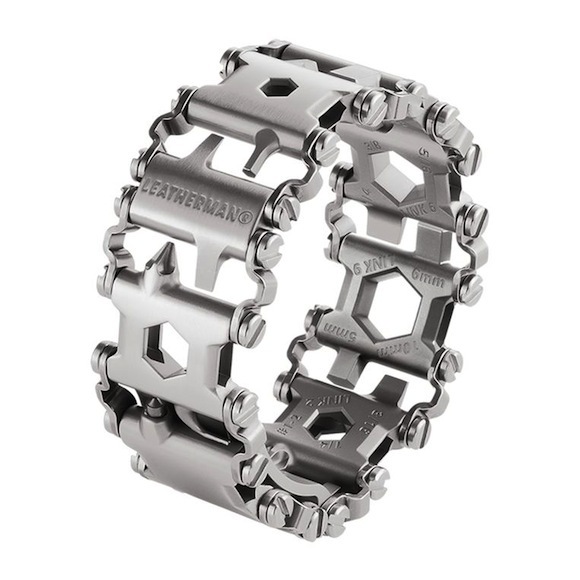 Earlier this year, Leatherman released the Tread, a wearable multitool that houses 25 tools — bottle openers, line cutters, box wrenches — in one watchband/piece of chain-link jewellery. As wearables blur the lines between design’s conceived role as an aesthetic component of a technical whole, the Tread raises new questions about designing form, function and necessity. desktop asked a few questions of Ben Rivera, President of Leatherman and mind behind the Tread. What is the principle behind the Tread being equally focused on style and functionality? A principle of our design is that it is important to both be there when needed, and work when needed. Form follows function for us of course, and in the case of the Tread as a wearable, the appearance is critical to being there when needed. The two must work in harmony with one another. There were design elements of the Tread that began as function, but when we took a look and asked ourselves how we could elevate these elements beyond function, we accentuated them and (I think) they became a pleasing blend of function and form, which I consider to be authentic design. The screw heads look cool, but they are also designed to be assembled and taken apart using found objects like coins, paperclips or a butter knife. 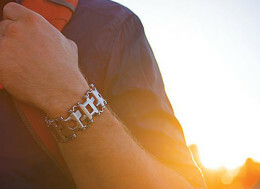 The connecting links have a zigzag shape to protect the wearer from the screw heads rubbing against their skin. The chamfers on the links themselves are there for comfort, but when looking at the pattern created by the connecting links, we saw an opportunity to complete the pattern they started. 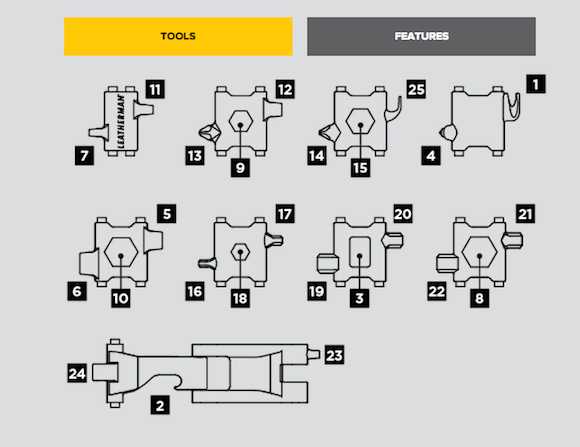 The cross-holes reduce weight and they also emulate and even function as bit drivers themselves, being compatible with the proprietary bits used in other Leatherman tools. What, to you, is the value in converting things designed for manual labour and practical purposes, into a piece of jewellery? Having it with you when needed! Being there when needed is just as important as working when needed. You could have the greatest tool set in the world, but when you are travelling or away from them, the best tool you have is the one that is with you. There are a number of people who won’t carry a Leatherman tool on their belt or in their pocket. They might view it as unfashionable because of where they live or work. They might think that a traditional Leatherman tool cannot go where they need to go…a plane, school, theme park, sporting event, even some companies where knives have been deemed as weapons. The tread can go where you need to go and be there when needed. What fuels the desire to attach these tools to the human body, to extend the body and make the body more capable? There is an increasing trend toward relying on your smartphone or watch or whatever to prepare yourself for the unexpected, but these can’t literally do anything more than provide information or order a service to help you out. It pairs smartly with them. The Tread can do things your electronic devices cannot. Remove tags from clothes, open a package of food, pop the sim card out of a phone, change the batteries in the garage door opener, tighten a loose screw…even open a bottle of beer. The actual functionality surprises people. What do you think of the idea that wearables are a misplaced affirmation of the human, facilitated by technology? I think that wearables, be they electronic or physical tools, make a person more capable. They are created by humans for humans. How do you see the future of wearable tools evolving over the next few years? Where do you want to see it go? I see a significant increase in the use, acceptance, affordability and capability on the near (and far) horizon. The interface between the wearer and the device will become more seamless.